AUNDREA Y. WILCOX, Brenau University MBA, is currently the Executive Director of the Kingsport Office of Small Business Development & Entrepreneurship at the Kingsport Area Chamber of Commerce, Tenn. She is also the author of Startup Savvy: Strategies for Optimizing Small Business Survival and Success; and the upcoming book Superwoman Smarts: Activating Leadership and Substance. Aundrea Wilcox:I have always had in interest in entrepreneurship. My parents have owned multiple family businesses, so I was introduced to this industry as a child. They both continue to motivate and inspire me, by always asking, “What’s new?” When they ask this question of me, I know they are being genuine and they expect to hear something pretty exciting. AW: I started at the Kingsport Chamber of Commerce first as a volunteer. I realized that I loved volunteering more than “working” my corporate job at the time, so I decided to make the switch to the nonprofit sector. This risky but rewarding career change gave me the opportunity to work with many business owners one-on-one on a daily basis. I quickly noticed some disappointing trends and behaviors, and I wanted to do something positive and bold to change the status quo. So, I wrote my first book to help business owners avoid some of the common pitfalls and mistakes that I saw reoccurring unnecessarily. Startup Savvy was written not only to help new entrepreneurs get started, but to help existing businesses survive and thrive. When I receive emails and letters about how the book has helped small businesses and emerging entrepreneurs, I know that my efforts are having a positive impact on the local economy, and that I am making a real difference in people’s lives. AW: Consequently, my favorite quote is, “Don’t just talk about it, BE about it.” I don’t know who said it, but that’s not what’s important, what’s important is managing the things we can control. What’s important is doing more than just saying. AW: My definition of a BOSS is a woman who is: BEAUTIFUL inside and out—and in her own way; OUTSPOKEN—speaking up for herself and others who are not in a position to do so; STRONG—physically and mentally, and SMART—on the street, in the office and in business. AW: Because of the nature of my work—being a certified small business advisor, speaker and author—my personal and professional life does intersect, and I am quite happy with that. In fact, I welcome the blending of both worlds. I balance all of this by taking time out for myself to do some of the things I love alone. For example, I like to go to the gym first thing most mornings. When I don’t go to the gym, I actually feel unproductive. To be honest, I just don’t feel good if I miss my gym time. I don’t choose to miss the gym because my husband doesn’t feel like it. Conversely, everyday doesn’t have to be a grueling workout. On some days, a good cardio workout is all I need. I also enjoy ballroom dancing just for fun and relaxation. I take a professional dance lesson with my husband once a week and we both enjoy a group social dance once week to show off our new moves. Also, I purchased a cello several years ago on a whim. My musical skills in this area are lacking, but few things are more satisfying than a glass of wine, cello music, and candle light. And as strange as it may seem, I highly recommend every woman find a chiropractor that they are comfortable with. I have found that having good posture helps me maintain a healthy mind and body. I try to visit my chiropractor at least once a week. AW: Finally, my network is my lifeline. Without others, I realize I am nothing. Therefore, cultivating a strong and active network is imperative to keeping your business or career solid. Never burn a bridge—it’s just not smart. Instead, build bridges and build on existing relationships. Remember that it’s not just about you, so reciprocate generously. Help other women, help your sisters SUCCEED, and you will too! Many people know that a well-received image is a prerequisite in the workplace. However, can it affect your career growth? I recently had a client who was referred to us by her mentor. As I sat with her in my office and asked her how I can help…I told her to think of me as her fairy tale godmother, who could give her anything she wanted regarding her health and image. She sighed and said, "I would like to be a size 4.” I have coached thousands of clients to help them achieve their weight loss goals, I can usually tell what size a person is and by looking at her I could see that she was about a size 12. She went on to say that although she was very good at her job she didn't pay much attention to her weight and felt that it was because of this that she was constantly overlooked for women who were much thinner. As sad as that may be, statistics show this to be true, that being overweight does affect a person's perception of you. Looking back over 14 years as an owner of Nutrition clinics and helping people with their weight loss I can see the difference when people have achieved their ideal image. They become better at all their relationships. For me, going through this journey 12 years ago was life changing. I was a size 6, which is below the average size for most women in the United States. But the truth was I wanted to be smaller as when I was in my 20’s. I wanted to return to the better version of myself. At that time I was in my 30’s and after having kids, even though I worked out and ate correctly I couldn’t get my thighs and arms down to what I wanted. I cannot begin to tell you how frustrating this was. To be honest I even resented smaller and younger women. I went through a fat loss treatment that we now use in our practice and ….WOW! Within just 7 weeks I was down to a size 2, much smaller than I was even in when I was in my 20’s. That transformation gave me more self-confidence than I had ever experienced, I felt invincible. That woman who I started talking about in the beginning, became my client and within 7 months was able to get down to her ideal size. I watched as her attitude and confidence grew before my eyes. The following year she called me filled with excitement, she was now a partner at her workplace and wanted to tell me that it was not only just how great she felt about her weight loss, but it was the feeling she now had about herself that was infused in everything she did…she felt unstoppable. I love it! This year I encourage all to be the best version of themselves and experience what it feels like of feel invincible! Lana Kerr is the founder and CEO of TLK Wellness Inc. otherwise known as Your Fat Loss Coach. She is a bestselling author, and one of the nation’s leading health and wellness experts. Lana is known by her thousands of clients including celebrity clients, like legendary supermodel Beverly Johnson, as inspiring and motivational. As a motivator and role model Lana is a public speaker and educates her audience on importance of proper nutrition and the secret to low body fat. Under-charging is a big problem in the entrepreneurial community, especially among women. It’s like a chronic illness that stops you from running your business at the highest levels. It can also cause you to feel like an employee in your own company. Myth #1: You have to work from sun up until sun down to make your business grow. This is such a lie. Sure some sweat equity is required to get going, but if you’ve been in business for 3 years, you should have processes and systems in place that allow your business to operate smoothly even in your absence. Myth #2: If you’re a service professional, you have to charge by the hour or if you sell products, you have to have the lowest prices. Another lie. If you are charging by the hour for your services, you are cheating yourself. If you feel your prices have to be the lowest in town, you might as well open up a dollar store. Myth #3: You have to be the one in your business who does everything. You can not earn what you are worth if you do the filing, the mailings, the follow up calls, the event planning, the marketing, the sales calls, the web design and everything else. Just because you can do a task in your business doesn’t mean you should and being busy, doesn’t mean you are profitable. BOTTOM LINE: If you believe one or more of these myths, more than likely, you are under-charging AND under-earning. You are not sure how to price your service or products. Again, charging by the hour is not the way to price what you do. You’re far to brilliant to be earning an hourly wage. You are not sure if your current clients will pay higher fees. Some won’t and that’s okay! What you as a woman entrepreneur must do is have overwhelming confidence in the results you provide for your clients. You don’t consistently attract your ideal client because you have not clearly conveyed the value of what you do for them – Don’t tell me how you do what you do. As your client, I don’t really care about that. What I care about is the value of what you do. Can you save me money? Make me feel more beautiful? Make my life easier? Where there is value, profit follows. So what is your value? You haven’t identified a niche. General marketing (or marketing to everyone) fails every time. Unless you have a gazillion dollars in your marketing budget you cannot market to “everyone.” Instead, focus on a specific group with a specific problem that you can solve effortlessly. Build a relationship with them. Speak their language. Position yourself as the person they need to connect with…and they will come. So how do you STOP the epidemic of under-charging and under-earning? I’ll share 4 simple strategies in my next article. In the meantime, what are you doing in your business to bring more value to your clients AND earn more money? Connect with Monique Caradine on Twitter @moniquecaradine and check out www.MoniqueCaradine.com for more information and free resources. 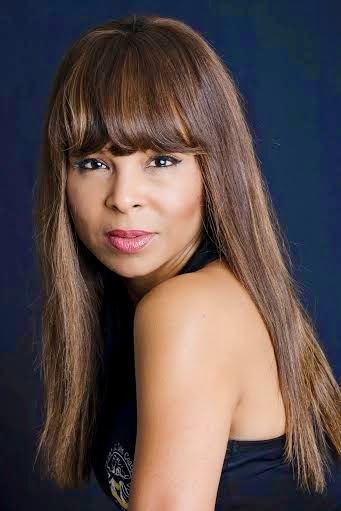 Join Us Thursday, 1/29/2015 at 7/8PM EST For A Live Twitter #BOSSChat with Angelia White! Angelia White’s axiom, “Live, Dream, Inspire,” is what motivated her in 2000 to embark on an extraordinary journey to create a lifestyle magazine for diverse women of faith — a magazine that speaks to all women from all walks of life. What began as a simple idea blossomed into an amazing, faith-defining endeavor. Having connecting her God-given passion with a purpose, Angelia decided to step out on faith with her dream. She began her mission to present beauty, fashion, and lifestyle issues for today’s aspiring woman. Angelia envisioned a magazine synchronizing diverse women of faith, inspired by true-life stories, providing powerful lessons that inspire, provide hope, and encourage change. In 2005, Angelia experienced the loss of her grandmother and father within a two-month time period. It was during these difficult times that she was able to discern how short and precious life truly is. Inspired by these revelations, she knew that it was time to take concrete steps toward fulfilling her dream. In May 2005, with strong faith and determination, her vision evolved into the reality of Hope for Women magazine. God has continually guided and directed her entirely throughout this journey, and He continues to open selective doors, leading her to individuals who share the same intriguing passion. More importantly, He has blessed Angelia with a supportive family and friends who not only believed in her vision but also continue to make it a reality. She is blessed to be surrounded by a wonderful team of dedicated individuals who are committed to making Hope for Women magazine exactly as she envisioned. 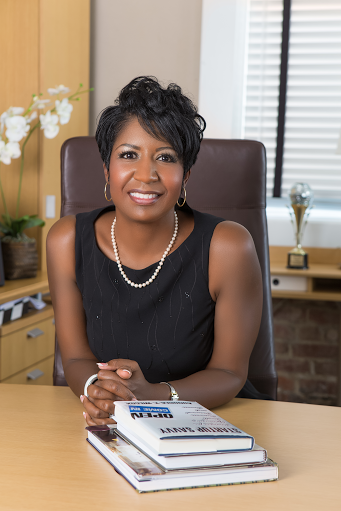 White created Hope for Women LLC and serves as CEO and Publisher of Hope for Women magazine. She makes her home with her husband, Johnny, Sr., and their three children in Muncie, Ind., where the publication is headquartered. Created to exemplify the fellowship of women, Hope for Women Magazine delivers passionate and creative coverage about health and wellness, fashion, careers and education, beauty, family and relationships, faith, and arts and entertainment. Hope embraces and celebrates the diversity of women -- while providing the inspiration, support, and information women want most to live a purpose-filled life. Hope for Women launched its print edition in 2005, and re-launched in digital format in 2010. Hope now reaches more than 100,000 readers every month, as it inspires, uplifts, enlightens, enriches, and motivates its readers to live dynamic, purpose-filled lives. For more information, visit http://www.hopeforwomenmag.com. Crystal Wright is known for getting people UNSTUCK! She has dedicated her life to empowering and preparing freelance beauty, fashion and entertainment professionals to succeed as entrepreneurs in print, video, film and TV. Her books, workshops and coaching helps creative professionals take their careers to the next level. Crystal Wright: As an agent, I experienced subtle dismissive behavior from creative decision-makers in the general market and from peer agencies in the makeup, hair and styling community. It wasn't like what was being experienced by other people of color in corporate America at that time. Luckily, I was an former Xerox rep and we didn't take no for an answer. I was able to obtain much more work, albeit no general market assignments for the first ten years. The world is so wonderfully different now. I like to say that these young people who are decision-makers now are more concerned with cool than they are with color. They live in and love the rainbow nation they have created. CW: I just could not sell another copier. It was serendipity. I wanted out, and I met a photographer whose business intrigued me enough to quit my job and step out on faith to be his agent. Seven days after meeting him at Muhammad Ali’s house in LA, I quit! CW: Ironically, I give really good advice to other people about balance. I've been asked to give talks on the subject of balance. But really, my goal is to incorporate balance into my life better. I’m in a relationship where I’m expected to act like a person instead of a machine and I like it so I’m making the effort. In 2014 I had my first 17-day vacation and another 10-day holiday during Christmas & New Years. Wow! CW: My favorite quote up until a few weeks ago was, “If you Stay ready, you don’t have to Get ready. It still is a favorite. It means that you’re always planning to win by doing what is necessary regardless of how you feel, so that you’ll always be prepared to take advantage of opportunities. You have to create a standard that you live by in order to STAY READY regardless of what everyone is or isn't doing. My new favorite is something that God dropped into my Spirit recently while I was reading an article about our waning mental ability as a result of all of the electronic disturbances in our lives. FOCUS is the new Black! It means to be centered, in the moment, paying attention [without succumbing] to the myriad of distractions that would keep us enslaved to mediocrity. Stop the madness. We’re training ourselves like Pavlov's dog. We are allowing our devices to train us not to stay focused on anything long enough to make any real discoveries. CW: God. Faith. Love. Real Friends. Real Talk. My friend makeup artist Monifa Mortis and I often call each other the steel that sharpens each other’s steel. CW: When I was an account executive at Xerox, I had the best BOSS ever. His name was Tom Alire and as long as I was doing what I was supposed to, he was always there to push me, educate me, and open doors of opportunity for me. We were a team of 12 men and women. He treated us equally, and like adults. He set high expectations, prepared us for upward mobility and guided us through the corporate landmines. In her book, Lean In, Sheryl Sandberg talks about value of male mentors like him. He was that guy for me and we have stayed in touch to this day and I still consider him a mentor. I believe that a BOSS is a person who recognizes your gifts, sees your potential, expects excellence from you at all times and takes positive action that enables you to succeed and thrive as you demonstrate a willingness to take action.